The New York Jets retained the services of Josh McCown so that he could start this season and give the Jets a stable presence behind center. But they also traded up and took Sam Darnold with the No. 3 pick in the draft. As much as they may want to tread carefully with Darnold, people want to see the high draft picks play. Jets head coach Todd Bowles has said he’s open to Darnold possibly starting in Week One. They’ve kept McCown on ice during the preseason. 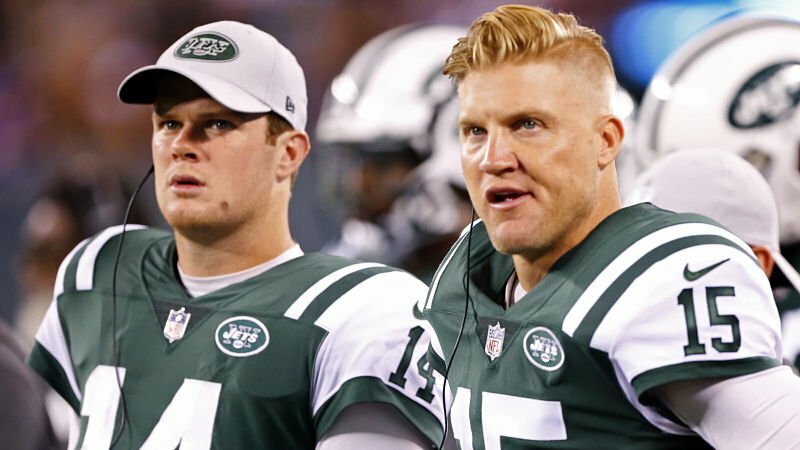 Has Darnold done enough to take his job? Sam Darnold played a little over two quarters and completed 8-16 for 86 yards and a touchdown. It wasn’t as clean a performance as we’ve seen out of him, but it was also the first time he saw extended action against a first-team defense. Whether he did enough to earn the job depends on if you think he already had it. He didn’t do anything bad enough for him not to get the job. But, at the same time, he certainly didn’t do anything that should earn him the job. Teddy Bridgewater didn’t get the team in the end zone but otherwise had another good outing (11-15 for 104 yards). Whether to start a rookie at quarterback or not would be an easier decision if the Jets had a running game that could help protect him. But between Bilal Powell (ten carries for 24 yards and a touchdown), Trenton Cannon (five carries for 23 yards), Darnold (two carries for 13 yards), and Isaiah Crowell (four carries for six yards) they combined to average a dismal 3.1 yards/carry. There may be hope for Terrelle Pryor this season. He’s been out of action as he recovered from ankle surgery. He didn’t play or do much Friday night (two reception for 16 yards and a touchdown). But his 12-yard catch and run for a score was a thing of beauty. It may be time for Jonathan Stewart to call it a career. It’s only preseason. But there is never an acceptable time to lose seven yards on three carries. However, Wayne Gallman hasn’t been overly impressive either (11 carries for 23 yards). Jhurell Pressley had the Giants only decent game by a running back (12 carries for 71 yards). Eli Manning appeared to have a good night (17-32 for 188 yards). But he didn’t do what matters most—get the team in the end zone. “I was pleased with the way we threw the ball … not pleased with the way we ran the ball, certainly,” Giants head coach Pat Shurmur said after the game. The success the Giants have this season is going to be contingent on Saquon Barkley and Odell Beckham Jr. remaining healthy. There is no run game without Barkley, and the passing game isn’t very dynamic without OBJ. Giants fans are going to have to hope that their new retooled offensive line just needs time to gel. So far, they have not looked good during preseason. That doesn’t bode well for the team’s hopes in the regular season. For those who keep score during the preseason, the Giants won 22-16. The Giants will close out their preseason next week with a visit from the New England Patriots. The Jets will travel to Philadelphia to face the Eagles.